Are the mechanisms avian influenza utilizes to propagate and evade annihilation considered evolution? “Bird flu ‘could take 142m lives’”1, “France reports first possible case of the bird flu”2 and “Genes make bird flu virus deadly, study says”3—all headlines within the last month from some of the world’s largest news organizations’ webpages concerning a bird virus that is now found to infect humans as well. Scary stuff—but we all know we can’t believe everything we read. So, with all these somewhat ominous and disconcerting news flashes, what should we believe about the possibly impending pandemic of the dreaded “bird flu”? What is it? How is it spreading so quickly? Is it really evolving? Avian influenza (or the “bird flu”) is a term used to refer to an infection caused by any of the known avian influenza viruses. Humans may be infected with viruses which come from each of the three known influenza types (A, B and C); however, it is viruses of influenza type A which have the widest range of host organisms, including people, pigs, horses and birds (the natural host for these viruses). Certain strains of influenza type A are responsible for human malaise and morbidity, these strains in humans are more commonly referred to as “the flu.” However, humans are not susceptible to all strains of influenza type A. Although humans and domestic fowl infected with avian influenza are stricken with a variety of physical maladies, wild fowl (e.g., ducks) infected with most subtypes of influenza type A can carry it in the intestinal tract many times without occurrence of any symptoms. 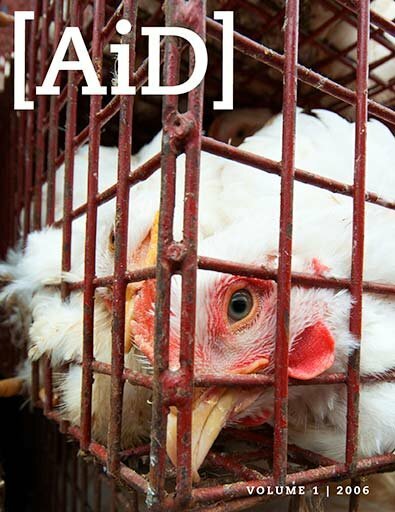 This fact, along with the fact that infection may be transmitted by contact with secretions or excretions of infected fowl, contributes to the high speed at which infections among domestic fowl may occur; and may be why such epidemics are difficult to contain. Because of the possible passage of infection to humans, such epidemics among domestic fowl are of concern; however, usual methods of vaccination against such threats are tricky due to the genetic variability seen in influenza type A strains. The segmented nature of the influenza type A virus genome allows reassortment (mixing) of genetic material between strains when two or more strains infect the same cell. This type of genetic alteration (antigenic shift) allows a virus strain of which a host has developed immunity against to swap it’s HA and NA proteins (the viral proteins recognized by neutralizing antibodies) with that of other strains which may not usually posses the ability to infect the host. Such antigenic shift can lead to the generation of viral strains by which a population may become infected without protection of neutralizing antibodies generated via previous infection or vaccination. Likewise, the accumulation of minor genetic variations (antigenic drift) in the viral genome can affect the virus’s interaction with the host system. One way in which this occurs is via modification of neutralizing antibody recognition sites on the viral proteins. Since the antibody is designed by the body to recognize specific amino acid sequences, antigenic drift in the genes which code for the HA and NA proteins can lead to amino acid substitutions which serve to mask viral particles from the host immune system. While this does indeed allow the viral particle to evade detection, this type of genetic modification occurs by random mutation (usually via the virus’s error-prone RNA-dependent RNA polymerases) and does not serve to alter the essential functions of the proteins involved. Since viruses have the ability to replicate many times over within very short periods of time, they have the luxury of such “hit-or-miss” type genetic variability. Keep in mind, such mutations do not impose any type of new functionality to any of the viral genes or proteins, they simply change the way they appear to the host organism. Such masking mechanisms as reassortment and amino acid substitution allow strains limited variation to their genetic makeup, and it is the strains which end up evading the host defenses that survive to make the next generation of virus. This is simply a case of natural selection. So, are the mechanisms avian influenza utilizes to propagate and evade annihilation considered evolution? The word “evolution” has certainly been given a biological stigma in the last century. It’s hard to use “evolve” in any biological context without it being interpreted in the Darwinian sense of the term. 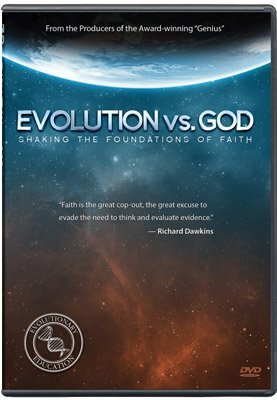 Then there’s the differentiation between the terms “microevolution” and “macroevolution,” the latter of which is most often referred to when the term “evolution” is used in biological context. It is plain to see that the genome of avian influenza viruses is not static, but constantly mutating and rearranging. Because viral proteins interact with proteins in the cells they infect, variation in the viral protein can and does have effects on what type of cells can be infected and what type of physical manifestations develop in infected hosts. However, this does not occur via natural acquisition of novel genes or differentiation of viral protein functionality; but on the contrary, it is due to loss of protein specificity (e.g., broader ranges of proteases may be able to cleave genetically altered HA0 proteins) or intraspecies switching of similar genetic materials which contain minor variations effecting protein/protein interactions (e.g., NA proteins between human and avian strains). So what should one say if asked, “Is the ‘bird flu’ evolving”? It could be said that the avian influenza genome is evolving only in the sense that it’s continually changing and modifying, and not in the sense that it will someday be something other than an influenza virus. Yes, influenza viruses do possess a certain degree of variability; however, the amount of genetic information which a virus can carry is vastly limited, and so are the changes which can be made to its genome before it can no longer function. Previous Article Were Retroviruses Created Good? Next Article Origins of Life: A Simple Approach? Avian Flu to Human Influenza, David B. Lewis, Annual Review of Medicine 57:139–154, 2006.